ysabetwordsmith | Demifiction: "PGG Plant Swap"
I wrote this piece of demifiction as part of the thread following the events in "Berettaflies." The notice appears in several Easy City newspapers, as well as flyers posted in many public places. The plant swap takes place on the first Saturday after the incident, just under a week. This fills the "hope" square in my 8-1-15 card for the As You Like It Bingo fest. This Saturday, the PGG Garden Center will host a plant swap. Following the berettafly incident, environmental experts at Loyola University have recommended that local residents remove annuals designed to attract bees or butterflies, and if possible, replace them with night-blooming or foliage plants. Perennials may be covered instead. Let's all help to keep Easy City safe! Are you digging up your pollinator garden? Bring us your old plants and we will trade one-for-one with new plants. We have flats of coleus and nicotiana to give away. Collected bee/butterfly plants will be donated to SPAZMAT as bait for their efforts in capturing the berettaflies still at large. SALE! All night-blooming and foliage bedding plants at PGG are 10% off while the berettafly warning remains in effect. We have tip sheets listing bee/butterfly flowers targeted for removal, plus plants currently recommended as safe so you'll know what the bargains are if you want more variety. Garden fabrics are marked down for plants you want to protect instead of remove. SALE! Jacques-José Gardinier, a member of the PGG collective, has organized some fun activities for the whole family. Check out the kiddie craft table stocked with coloring pages and flower collage supplies, open throughout the plant swap. Jacques-José will lead workshops on planting a night garden in two time slots. Snacks have been donated by Bon Temps Bakery. After lunch, join Professor Roselyn Busch and her Environmental Studies class from Loyola University for three presentations on bats, moths, and our other nocturnal neighbors. Come and learn with us! THIS IS AN INDOOR EVENT! The plant swap will take place in PGG's pole barn, which has a drive-in "air lock" to discourage Louisiana's six-legged residents from frisking in freshly-shipped flowers delivered to the garden center. Tinji (the tall silver guy with Armor) has volunteered to provide valet parking, so visitors will be completely protected. We wish that this event will help to restore a sense of hope and security to our community. We regret that the outdoor portions of PGG will remain closed at least until the threat level drops to Orange, when a safety assessment has been planned. THIS IS AN INDOOR EVENT! Jacques-José Gardinier -- He has tinted skin, green eyes, and short black hair. His heritage includes French, Spanish, African, and Native American. Many of his ancestors fell into the "free people of color" and "Creole of color" categories, and he still identifies with those roots. He was named after his paternal and maternal grandfathers. Jacques-José and his husband are married with two kids (one biological by each from previous relationships) and are currently talking about adopting one together. They're stuck on whether they want to take an infant from a local crisis pregnancy center called Magdalene House, or consider an older refugee from elsewhere. Jacques-José works at the PGG Garden Center. The initials actually stand for Padilla, Glenn, Gardinier -- the three families in the collective -- but overlap to the Purple, Green, Gold of Mardi Gras which is why their logo features a Mardi Gras mask. People joke about it standing for "Pretty Good Gardening." The nursery specializes in dual-purpose landscaping for humans and wildlife alike. During Mardi Gras they field a float decorated with real flowers, not tissue, which is how he knows Tinji. Jacques-José also volunteers on Easy City's storm cleanup crew, where they can always use a man who knows how to handle a chainsaw. A drawback of all this is that he can't keep clean for more than a few minutes. He is almost always dirty, frequently smelling of sweat and fertilizer. Magdalene asylums were originally rather exploitative institutions for "fallen women." Magdalene House in Easy City supports disadvantaged women through unplanned pregnancies so that they can carry to term instead of having to get an abortion for financial reasons. Many of them then choose adoption. Tinji (Aloysius Labarre) -- He has metallic silver skin and hair, with black eyes. His hair is so difficult to cut, requiring another superpower to get through, that he has it bowl-cut above his ears and then ignores it until it grows past his shoulders, when he has it cut again. He stands 6'11 and wears dainty wire-rimmed glasses. His coloration comes directly from his superpower, and Pointer thinks that Tinji might develop Metal Form someday. Despite his height, Tinji is quite graceful and does not have the common tendency to bump into things, although he does still have difficulty finding furniture and clothes to fit his lanky frame. Due to a combination of dyslexia and myopia, he has difficulty reading, or indeed focusing on any small details. He lives in Easy City. He enjoys making a float for Mardi Gras, which is how he knows Jacques-José Gardinier. Tinji does not practice crimefighting, as he is a pacifist, but he volunteers at SPOON for other occasions where a durable person could help. He uses not just his Armor but also his vivid appearance to get attention and guide people. 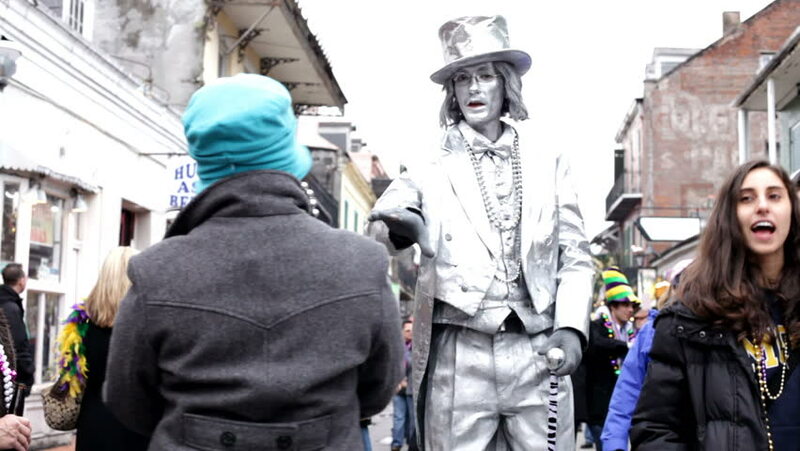 His day job is street performance -- a mix of theatre, song, dance, music, juggling, and whatever else catches his fancy. He often teams up spontaneously with other performers, and loves mentoring novices. He makes well over $100,000 a year in tips alone, not counting the booked gigs. Origin: As a child, Aloysius had a bad habit of putting everything metal into his mouth. He licked door knobs and sinks and stainless steel tables. He ate candy with the foil wrapper still on it. He swallowed so many coins that his parents lost count. They took him to one specialist after another, but nobody could diagnose the cause of the problem. Then at puberty, when all his friends were getting acne, he got silver freckles on his skin. Those spread until they covered his whole body, slowly developing into Armor. He still likes to eat foil, but he has stopped licking inappropriate things, and most people have quit pestering him about the pica. Uniform: Tinji customarily dresses all in silver dexflan and capery, but cut to historic or bohemian fashions rather than a typical soup uniform. He is particularly fond of top hats. Motivation: To give people a good show. Collective trauma happens when a crisis affects a whole community. The resulting emotions can lead to traumatic stress. There are ways to help people cope with stress and grief after an incident. Easy City, like much of Terramagne-America, is a trauma-informed city. Citizens understand the principles of community resilience. They know how to support youth and other people through the process of healing the trauma. Following the rule of "Comfort in, dump out," neighbors are reaching out to help each other deal with these challenges, building from their own skills and resources to restore normal function. Various garden fabrics protect plants from insect pests -- in this case, discouraging berettaflies by blocking access to flowers. Learn how to use them. Butterfly gardens feature plants that butterflies like, often with flat flowerheads in hot colors like red and yellow. Bee gardens use flowers appealing to bees instead, such as those with short throats and cool colors like blue or purple. Night-blooming gardens and foliage plants do not appeal to bees or butterflies very much. Nicotiana blooms at night, and coleus has colorful leaves. Both of these are cheap and plentiful, something the nursery can afford to give away in order to attract customers. Louisiana bats may be attracted to a bat garden. Moths like various pale, night-blooming flowers. Therapeutic art can help people express feelings about traumatic experiences. Here are some exercises. Coloring is a relaxing activity for all ages. Garden and insect pages are popular. The bee and butterfly pages have been filed in separate folders, available upon request, to avoid triggering people who may be having a hard time dealing with those associations right now. Collage crafts help see the whole and the parts. Collages may be made from real or paper flowers. PGG has provided some of each, in case anyone with allergies should not handle live plants. Snacks for a party keep everyone fueled up. Bon Temps Bakery has loaded a table with fresh fruit, meat and cheese trays, pastries, and a giant crock of red beans and rice. Most of those are cheap, filling, and reasonably nutritious; a good way to soothe people and attract attention without breaking the budget. Risk analysis covers such things as explosions, fires, and volcanoes. After a crisis, the authorities step down the alert level as life begins to return to normal. In this case, Easy City is using a common four-level threat scale: Red (emergency), Orange (danger), Yellow (watch), Green (low) marked with little butterfly icons to identify the hazard. After the first week, responders will realize that about half the berettaflies are already dead, and they'll drop the alert down to Orange. Given his power, is eating foil pica for Tinji, or is it something he needs -- or at least can use? It is something he needs. But that doesn't rule out pica. A leading reason for eating weird things is nutritional deficiency. Apparently that does not disqualify the diagnosis. Go figure. The only thing that disqualifies it is if someone has one of a handful of other diseases that often cause pica as a sideline. This is the opposite of what I would have done, but I don't write those parameters. *ponder* Though it might be different in Terramagne, they may have a rider for "this correlates with a dietary need" to classify it as odd and potentially problematic, but not baseless. He really did need to stop licking doorknobs and swallowing coins. That was hazardous as well as disgusting. But foil is fine, it's thin enough for his body to process easily.